Pro cut summer jersey for all day cycling. Ergonomically designed for enhanced freedom of movement. The shoulders and arms are constructed from light, Italian Airmesh fabric. 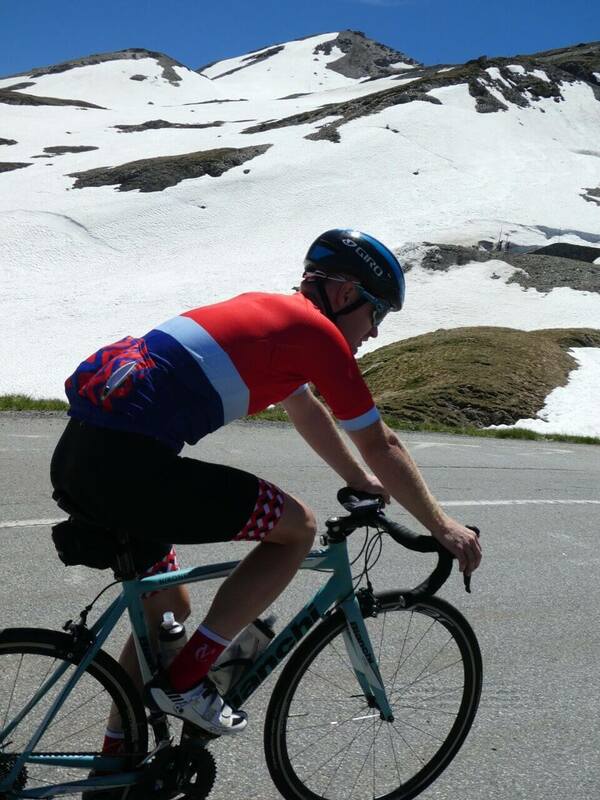 The aero cut with has extended sleeve length keeping the jersey fitted and tightly in place when on the saddle. The special structure of the fabric creates larger surface for the moisture to evaporate on the outside to creating a drier climate. A full YKK zip, gives additional adaptability as the sun rises and the low profile collar adds to the hot weather focused design. The jersey features a deep, angled and reinforced pocket structure, with an extra security pocket. The jersey uses a dual fabric silicon waist gripper allows the jersey to be loaded up without it losing shape on the bike. Styled with a modern take on geometric shapes around the collar and weighing in at less than 170gms. Like everything else I’ve bought from Galibier, this jersey just works. Classic styling, understated branding, quality materials, thoughtful features such as reflective edges to the rear zip pocket and shaped rear pockets so that the side ones are easier to reach into and the centre one is deeper so keeping a gilet or race cape secure. The fit is snug, almost aero one might say, and the dimpled shoulder fabric continues that impression. Really secure silicone waist grippers and quite be best quality zipped pocket I’ve seen despite ovwning Rapha, Castelli and Sportful jerseys. As the first sentence says, it just works – no snagging. At 1m 90 and 100kg the XL fits me perfectly. Very happy. Only cloud on the horizon: the bib shorts I’m after are out of stock and the other jersey designs are less appealing. Top work otherwise, Galibier. I’ve quite a few pieces from Galibier. All are great. This Jersey fits a bit snugger than the Union etc from last year and thankfully has a full zipper. (that was my only gripe with the Union). This Jersey feels very expensive ! Assolutamente perfetta.Materiali di alta qualità ad un prezzo normale al contrario di marchi più famosi.La tabella delle taglie è fatta bene e corrisponde alla taglia desiderata. Vestibilità aderente una volta indossata è come una seconda pelle. Indossata senza intimo sotto è fresca e traspirante. Veramente complimenti per il prodotto! What a lovely jersey, high quality and the perfect fit XL for 6ft2 and 80kg. Oh yes, this is a proper 10/10 modern Jersey. Colours are fantastic, I hate black jerseys. 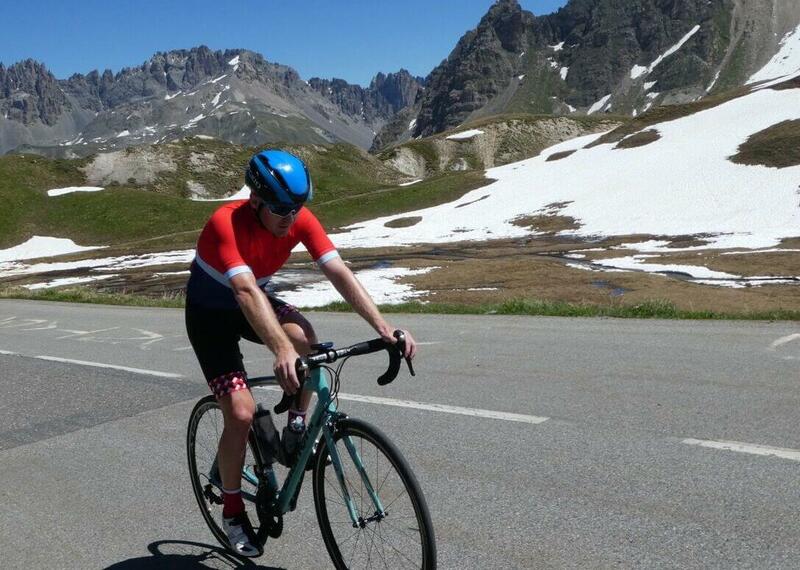 Nice long arms and a great aero/race fit. Beautiful for the money and fits better than many more expensive jerseys! 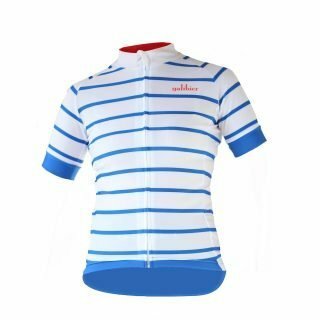 Superb fit, a quality garment in every way – you will be pushed to find a better quality jersey at this price. Great fit and excellent mix of technical fabrics. Great performance in 30+ degrees. Great performance and good quality and fits well.Had for a year so have had the chance to try it in all seasons.Very versatile.Sizing matches the website charts.To top it off looks great !